The Victorians had a ghoulish fascination with what one of them called a ‘stunning good murder’. One of the most notorious examples was the celebrated Roehampton case of 1842, part of whose drama took place in Tonbridge. The story began with the theft of a pair of trousers in Wandsworth, reached a climax with a murderer’s apprehension on a Tonbridge building site, and ended with his death on the gallows at Newgate. The ineptitude of the Metropolitan Police in pursuing the case led directly to the establishment of a specialist Detective Department with its headquarters at Scotland Yard. Every detail of the ‘most frightful and appalling crime’ at Roehampton was described in The Times newspaper, whose lengthy reports form the basis for this account*. On 7th April 1842, a man identified as Mr Daniel Good was spotted making off with a pair of trousers, snatched from the counter of a Pawnbrokers’ shop in Wandsworth High Street. A police constable was called and went, with others, to a substantial house in nearby Roehampton, where Good was known to be employed as coachman. A search of the stables there was begun, in the presence of Good himself and some other men. This revealed, beneath some hay, not the missing trousers, but a limbless, headless female human torso. At the moment of this discovery, Good ran out of the stable door and locked it behind him, leaving the hapless policeman and his companions trapped inside. By the time they managed to break out and raise the alarm, Daniel Good had fled. A description of Good was circulated – Irish, age about 46, sallow complexion, bald patch – and a manhunt ensued, but after a few alleged sightings the trail went cold. Meanwhile, remarkably, the grisly remains, now identified as those of a woman with whom Good had been living, were on public display in the stable where they had been found. According to The Times, ‘Vehicles of every description, from the aristocratic carriage to the costermonger’s cart, were seen wending their way towards the scene of the awful tragedy’. Among the many who ‘glutted their curiosity’ at the scene ‘were, we regret to state, numerous females, some of whom, we doubt not, would aspire to be considered respectable women’. A week later the focus of attention switched to Tonbridge. 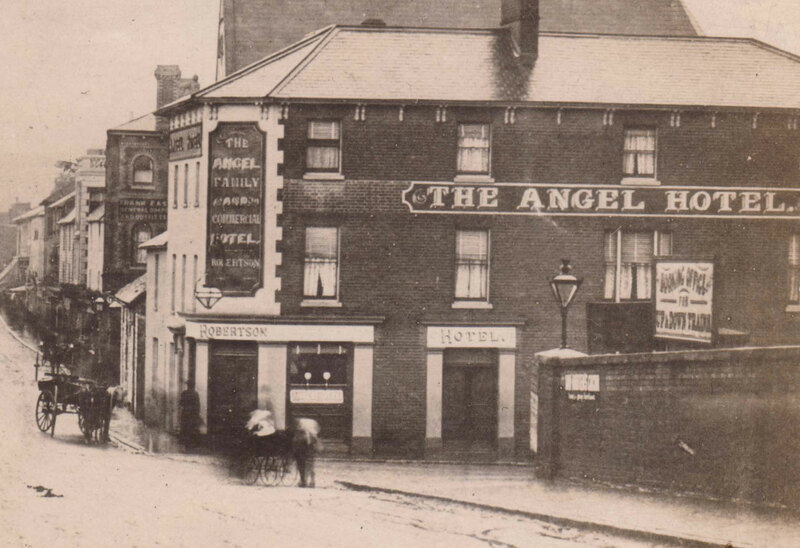 Two days after the murder, it transpired, Good had come down from London on a fish-van (on its way empty back to the coast to collect another load for the London fish market) and spent a night at the Bull public-house in the High Street. He gave his name there as James Connor. Next day he moved to lodgings at the nearby basket-makers, where the landlady, Mrs Audrey, later reported him to be prone to pace about the house, extremely anxious whenever anyone came to the door, and ‘much disturbed at night’. There was no shortage of construction work in Tonbridge at this time, since the railway was due to open the following month, and cottages for railway employees were being erected near the station. ‘Connor’ was soon taken on as a brick-layer. What happened next was, from the murderer’s point of view, pure mischance. It turned out that one of the men working as a builder near the station had previously served as a policeman in Wandsworth, and had come across Daniel Good there. After a while this man realised that Connor was actually the wanted murderer and alerted the superintendent of the South Eastern Railway police in Tonbridge, Mr Humphrey. As soon as he saw Humphrey, who was in uniform, Connor began to act suspiciously. Nevertheless when the superintendent complimented him on his hard work and invited him over to the Angel Inn for a pint of ale, Connor replied ’Thankee, Sir, I will’. Seated by the fire in the Inn, Connor removed his cap, revealing the bald patch beneath. Humphrey saw that the man’s description exactly matched what he had read in the Police Gazette, and the wanted man was formally taken into custody. He later appeared before the local Magistrate, Mr Hare, at the office of his clerk, Mr Scoones, in East Street, before being despatched in handcuffs to Maidstone gaol. News of the arrest spread fast. As soon as it reached London, The Times sent a reporter down to Tonbridge. 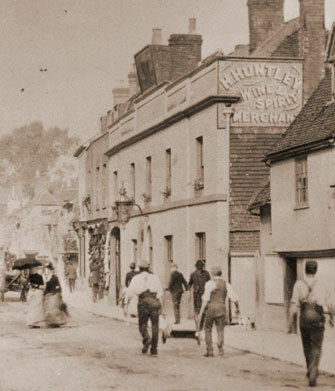 He found ‘persons of all classes flocking in from Tunbridge Wells and the adjacent villages ... To many the Bull public house, the residence of Mrs Audrey, and the erections at which the prisoner worked, were objects of no small attraction’. The trial of the ‘inhuman monster, Daniel Good’ in London on 13th May 1842 lasted just one day, and the jury only took half an hour to find him guilty. The judge then donned the black cap and sentenced him to be ‘hung by the neck until you are dead’. The execution took place a week later in front of Newgate prison, where the murderer met his end ‘assailed with the most hideous yells and long-continued execrations by the mob’. Whether any of them were Tonbridge people is not known. *The Times reports can be found in full in the Times Digital Archive, available free to anyone with a Kent Library reader’s card on http://infotrac.galegroup.com/itweb/kccl .